Today is #GivingTuesday! As you think about your end of year giving, please consider a tax-deductible donation to Iowa Rivers Revival. But we can’t do it alone. WE NEED YOUR HELP! Donate toady and join the fight as we help Iowans protect, restore and enjoy our rivers. Help us find our next River Town of the Year! Iowa Rivers Revival is now accepting nominations for the 2019 “River Town of the Year” Award. The deadline for submission is January 4, 2019. The annual “River Town of the Year” Award recognizes and celebrates an Iowa community for exceptional efforts to reclaim its river and river-front as anchors for economic development, good ecological practices, and enhanced recreation. Cities and towns are invited to apply for the award, or citizens may nominate their town. The River Town of the Year Award highlights a city’s outstanding work to enhance connections to its river. We are excited to learn about what communities are doing across the state to protect and enhance their local rivers and streams. The award provides an opportunity to showcase local stewardship, and inspire other cities and towns. The award will be presented in spring of 2019 at reception hosted by Iowa Rivers Revival in the “River Town of the Year” community. IRR also will work to provide additional opportunities to promote and recognize the “River Town of the Year” through media and river-related events. For information on previous winning cities’ applications, IRR news releases, and news coverage check out our River Town of the Year page! Questions? Please email us at rtya@iowarivers.org, or call 515-724-4093.
is going to be here before you know it! Oral Abstracts are due THIS FRIDAY and on that same day, early bird registration opens! Presentations geared toward the planning, regulatory, and funding context under which stream restoration occurs. Selected presentations will be grouped into topical sessions. Episode #16 of Our Water Our Land is all about rivers! 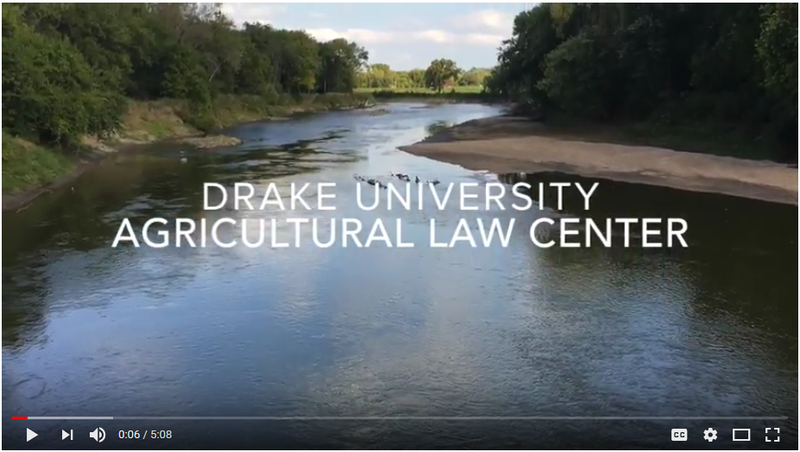 Thanks to our friends at Drake University Agricultural Law Center! Episode #16 of Our Water Our Land is all about rivers! Please watch, enjoy and share this video! “Today our over 70,000 miles of rivers and streams provide critical habitat for fish and wildlife, provide water for many of Iowa’s citizens, and help fuel our economy. Most of the time our rivers and streams are gentle corridors of nature but as our recent floods show they can also become destructive illustrations of nature’s power. In past decades the relation of most Iowans to our rivers and streams have waned and the lack of connection has contributed to our neglect and disregard for waterways. This neglect in turn has contributed to the water quality challenges we face. 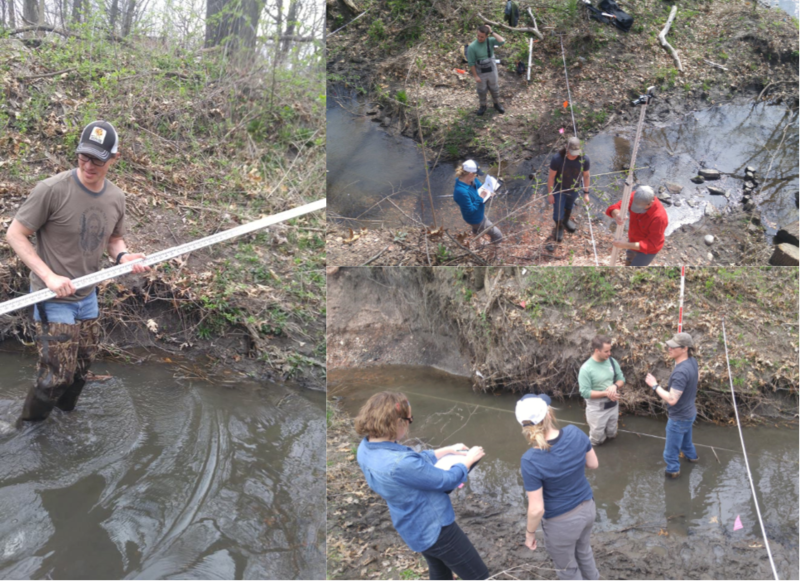 River Restoration Toolbox Level 1/Base Training is open for registration! The Iowa Department of Natural Resources’ (DNR) River Restoration Toolbox is LIVE on the website and Iowa Rivers Revival is a proud partner of this work! Iowa’s River Restoration Toolbox is a series of best management practices developed to assist designers in stream stabilization and restoration projects in Iowa with proven techniques with emphasis on incorporating natural materials, such as logs, stone, and live plantings. Rivers and streams, their channels and valleys, are a defining feature of Iowa’s landscape. They have formed and evolved over thousands of years, in response to the climate, soils, and geologic setting of their watersheds. Human modifications to the landscape, and to the rivers themselves, have altered these waterways contributing to problems including bank erosion, habitat loss, flooding, reduced water quality, and challenges to boater safety. River restorations are designed to overcome the effects of these alterations and improve the function and value of our waterways. Projects such as dam removals and mitigations, bank stabilizations, and installation of riparian buffers have been shown to improve the health of aquatic life and increase fish populations, benefit wildlife, reduce flood damage, protect agricultural land, increase recreational opportunities and make them safer and more enjoyable, and bring economic benefits to nearby communities. To promote this important work and the reinforce practical applications of the best management practices (maximizing multiple benefits) in the Toolbox, IRR is partnering with Iowa Storm Water Education Partnership, The State Revolving Fund, the Iowa DNR and Stantec to bring two Level 1/Base Training Workshops to a location near you this fall! If you are someone you know might be interested in participating in one of our fall workshops, please check out the registration options and choose from the Clive or Cedar Falls location. REGISTER NOW! Classes are limited to 24 participants per class so sign up TODAY!